Elie is a pharmacist by training, currently working with Johnson and Johnson Global Public Health where he provides logistical support to all the GPH operations in Rwanda, he also serves on the Junior Steering Committee of the JnJ African Innovation Challenge, where he helps in identifying the best innovators from across the continent. He is passionate about empowering young people, with over 5 years of experience working with youth-run organizations. 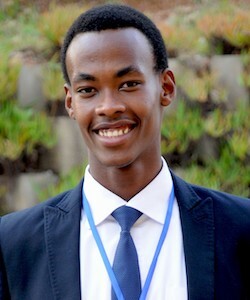 Before he joined his current position, he spearheaded the Hult Prize Rwanda national program, where he was in charge of creating the biggest ecosystem of social entrepreneurs and innovation in Universities across Rwanda. His passion is in empowering young people, creating programs and platforms that enable them to fulfill their potential. Former Chairperson of the Young African Leaders Initiative, East African Regional Leadership Center, Alumni Chapter of Rwanda and a board member of various youth run organizations.